When the cyclocross bug really bites, you'll want a bike that's up for the job. 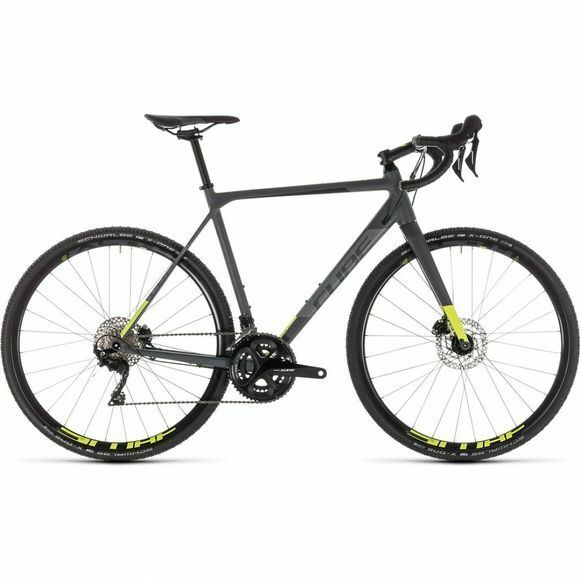 The Cross Race Pro 2019 from Cube is a perfectly balanced, affordable and adaptable machine that's ideal for winter training, racing or exploring beyond smooth tarmac. The understated Superlite aluminium frameset and carbon fork deliver nimble handling with comfort and pace, backed up by unique design details and the reliability of Shimano's 105 transmission and powerful hydraulic disc brakes. Cube cyclocross bikes are a breed apart. 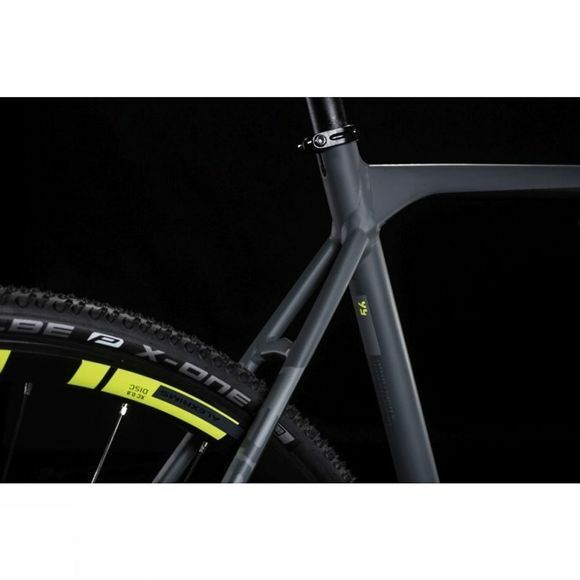 Stiffness and steering precision are both must-haves, so they've added 12mm thru axles front and rear and specced a carbon fork–with tapered steerer–that's been specifically designed to cope with the rigours of cyclocross. To add a dose of comfort, narrow seatstays and the carbon fork blades are capable of filtering out vibrations. Internal cable routing prevents mud and water from interfering with smooth gear shifting, while the ergonomic top tube is specially designed to make shouldering the bike more comfortable. And of course, the whole chassis makes use of Cube's Superlite Advanced 6061 aluminium alloy and mechanical tube forming process. This bike is ready to ride... and race. Are you? Headset–FSA Orbit Z-t ECO, Top Zero-Stack 1 1/8" (OD 44mm), Bottom Integrated 1 1/2"